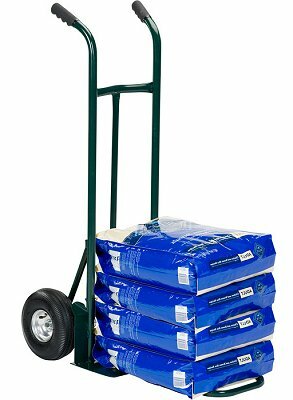 This Harper Trucks Sack Truck is a heavy-duty steel unit with a large folding 18in. 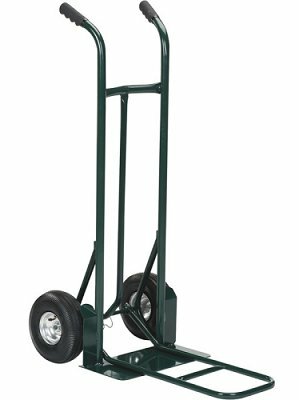 nose extension and a curved-back frame to help you move sacks, bags or boxes and other oversized loads. This truck features a 50in. tall frame for tall loads and an extra-large 18in.W x 9in.D base plate for wide loads. 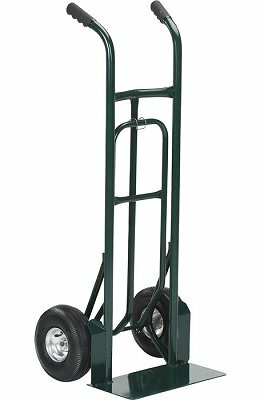 The twin-handle design with comfort-grips provides easy 2-hand control and maneuverability, and the heavy-duty pneumatic 10in. tires roll smoothly on all surfaces. Toe Plate 18" x 9"